We’d love your help. 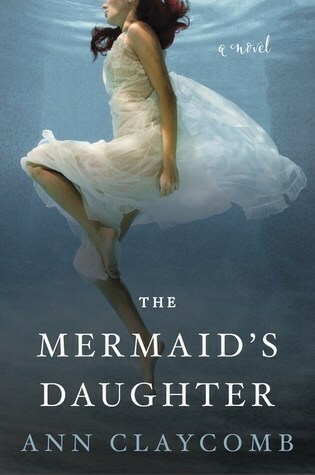 Let us know what’s wrong with this preview of The Mermaid's Daughter by Ann Claycomb. Kathleen has always been dramatic. 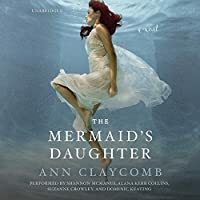 She suffers from the bizarre A modern-day expansion of Hans Christian Andersen’s The Little Mermaid, this unforgettable debut novel weaves a spellbinding tale of magic and the power of love as a descendent of the original mermaid fights the terrible price of saving herself from a curse that has affected generations of women in her family. To ask other readers questions about The Mermaid's Daughter, please sign up. Is it boring? It sort of sounds a bit like that. Barb Grant Agreed! Too much detail on the composition process which was unnecessary. I loved this book! A modern fairy tale, with hints of Phantom of the Opera, this book drew me in and I couldn't put it down. I love the authors choice to incorporate the world of Opera, it felt like a very natural place for a Little Mermaid retelling. Adult fans of fairy tale retellings will not want to miss this! The Mermaid's Daughter is such a unique book that it is hard to explain and do it justice. As mentioned in the blurb, it is a modern update of the fairy tale, The Little Mermaid by Hans Christian Andersen. It is as dark, actually probably even darker, than the fairy tale and set in the world of music and opera--giving it a different and interesting spin. The story is told by Kathleen, a young opera singer and student, her girlfriend Harry (Harriet) a fellow student in the music program, her fath The Mermaid's Daughter is such a unique book that it is hard to explain and do it justice. As mentioned in the blurb, it is a modern update of the fairy tale, The Little Mermaid by Hans Christian Andersen. It is as dark, actually probably even darker, than the fairy tale and set in the world of music and opera--giving it a different and interesting spin. The story is told by Kathleen, a young opera singer and student, her girlfriend Harry (Harriet) a fellow student in the music program, her father, Robin, a composer currently commissioned to turn The Scarlet Letter by Nathaniel Hawthorne into an opera, and finally a chorus of witch-like voices who tell the dark stories of the generations of women in Kathleen's family. Kathleen suffers from pains in her feet and mouth and has been hospitalized multiple times for breakdowns with no medical explanation for her symptoms. Her family has a tragic history of the women committing suicide, usually in their early twenties, and Harry and Robin are determined that Kathleen not share their fate. This takes Kathleen and Harry to Ireland where they uncover the secrets behind the tragedies. In keeping with its operatic setting, the story is divided into three acts and the book includes an after story called The Mermaid at the Opera about Hans Christian Andersen and the origins of The Little Mermaid. Although I have enjoyed an opera or two, I wouldn't consider myself an opera lover, but this book had me wanting to listen to operas and fascinated about how they are composed and staged. I would definitely buy tickets to operas based on The Scarlet Letter or The Little Mermaid. What if the little mermaid of the famous Hans Christian Andersen's story had had a daughter? Kathleen is at a conservatory studying opera, her soprano is amazing and she is passionate about music and singling. Her whole life has revolved around it in fact. Her father is a famous composer now, but when Kathleen was a baby her young, student, single parent father took her along when he played piano to cover his tuition. She has always sung. Her girlfriend, Harry is also a talented singer at the sa What if the little mermaid of the famous Hans Christian Andersen's story had had a daughter? Kathleen is at a conservatory studying opera, her soprano is amazing and she is passionate about music and singling. Her whole life has revolved around it in fact. Her father is a famous composer now, but when Kathleen was a baby her young, student, single parent father took her along when he played piano to cover his tuition. She has always sung. Her girlfriend, Harry is also a talented singer at the same conservatory and from the outside Kathleen's life looks perfect. What few people see is the daily agony that all her life she has suffered; stabbing pains in her feet, as though she was walking on knives. Pains that no doctor can do anything about, but which are eased by immersion in the sea. Kathleen has never read The Little Mermaid, but there is reason to believe that whatever affects her affected her mother before her. When Kathleen and Harry go to Ireland to try and discover any family history that might help with the condition, they have no idea just what a strange family history will be revealed to them. This was an exciting, magical book! The concept is enchanting, but it is coupled with a very realistic, down to earth attitude from the characters, which somehow makes it even more unearthly. The writing is beautiful, almost without flaw. Enough time is given to the back history, dolled out bit by bit so that the reader is kept on the edge of their seat watching it unfold. At the same time, watching Kathleen and Harry trying to cope without our privileged knowledge makes for a very dark and really thrilling story. One thing I truly loved and respected about this book, is the natural complexity of the situation, the elaborate construction of a plot and character dynamic in which the reader cannot see the ending. I don't just mean that the ending can't be predicted -though I certainly didn't- it is more that we can't imagine how it could end. We want a happy ending for the people we have become attached to, but what actually is a happy ending? Happy for who? How can the tangled scenario be unraveled in any way that will not end in tragedy? The formidable skills of the author do just that! The ending is thrilling, and kept me guessing right to the end, but I have rarely read an ending that was so very satisfying. And, just as one is mourning the end of the book, not quite ready to say goodbye, but very conscious that it has reached a natural conclusion; then there is a short story ; The Mermaid at the Opera to let one down gently. It was a great addition at the end. Wow! 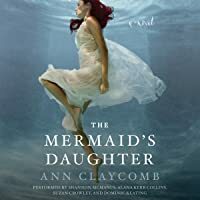 If The Mermaid's Daughter is Ann Claycomb's debut novel, I can't wait for her next one. This is a take on the classic fairy tale but is dark and edgy. I loved the fact that it takes place in the world of opera, that seems to meld together very well. I must admit that it took me a while to settle down with the story, but once I did, I was hooked. And the ending? Well, let me just say,.....! "We felt the spell catch, a tug on the line we had flung across the ocean like the jerk a fisherman feels - she heard us, at least. Now we wait and wonder how to do what must be done." I got halfway and just couldn't do it anymore. The story is constructed in 4 different perspectives: Kathleen, Harry, Robin and the Sea Witches. Regrettably, there was little sophistication or depth in the characters and I couldn't care about any of them. And the opera parallel seemed forced and awkward. I supposed "We felt the spell catch, a tug on the line we had flung across the ocean like the jerk a fisherman feels - she heard us, at least. Now we wait and wonder how to do what must be done." I got halfway and just couldn't do it anymore. The story is constructed in 4 different perspectives: Kathleen, Harry, Robin and the Sea Witches. Regrettably, there was little sophistication or depth in the characters and I couldn't care about any of them. And the opera parallel seemed forced and awkward. I supposed the entire book felt forced. DNF @ 91 pages. I'm becoming more cutthroat in how I abandon books, because there's just too many in this world to finish. I feel like I gave this one a good college try, too. The book isn't terrible, but I just never wound up enjoying it or even looking forward to picking it up again, instead feeling a light irritation throughout. I really, really disliked the main character, the melodramatic and manic soprano, so being stuck in her POV was a toil -- the single chapter I reached narrated by her DNF @ 91 pages. I'm becoming more cutthroat in how I abandon books, because there's just too many in this world to finish. I feel like I gave this one a good college try, too. The book isn't terrible, but I just never wound up enjoying it or even looking forward to picking it up again, instead feeling a light irritation throughout. I really, really disliked the main character, the melodramatic and manic soprano, so being stuck in her POV was a toil -- the single chapter I reached narrated by her girlfriend Harry was the best, so mostly I found myself disappointed to have to go back to Kathleen. And the between-chapter interludes were filled with insufferably overwrought prose about a nonstop slew of women killing themselves. Not into it. I think I've read that Harry gets more POV chapters later, but the prose wasn't good enough to carry me there either. This was a gentle, interesting book about a curse that had been handed down from mother to daughter for over a century. Kathleen's mother killed herself when Kathleen was a baby and Kathleen has grown up with the same searing pain in her feet that her mother endured all her life, as well as the sensation that her tongue has been cut out. She's a soprano in an opera programme at college and her girlfriend Harry worries about her constantly, but when they take a trip back to Kathleen's home countr This was a gentle, interesting book about a curse that had been handed down from mother to daughter for over a century. Kathleen's mother killed herself when Kathleen was a baby and Kathleen has grown up with the same searing pain in her feet that her mother endured all her life, as well as the sensation that her tongue has been cut out. She's a soprano in an opera programme at college and her girlfriend Harry worries about her constantly, but when they take a trip back to Kathleen's home country of Ireland they find out that Kathleen's malady is far older and stranger than they could have imagined. The story is told from four viewpoints - Kathleen, Harry, Robin and the Sea Witches - and usually this number of narrators might feel like a jumble, but here it actually worked. I think it was because the book was so long - each narrator had a chance to tell their story fully and the reader had plenty of opportunity to grow accustomed to their voice. I really loved the two main characters in this book - Kathleen and Harry - and I thought their relationship was really strong and sweet. In some areas it felt a bit over-long for the amount of plot that was included. There were some long descriptions about the process of composing music and there was so much narrative about the pain in Kathleen's feet. I mean, I get that chronic pain affects your life constantly, but this was a LOT of talk about Kathleen's feet. I liked the ending to Kathleen's story. I think it worked. I wasn't too sure about the Hans Christian Anderson sub-story that was included at the end. It was okay, but it didn't really add anything to the main story and I think it would have worked better as a separate novella. Good God no one said half of this book would be about Opera discussions and how a father composes a song about his daughter. It blathered on with literary comparisons and less about mermaids. The love story wasn't even that compelling. I gave it two stars because the concept is creative but it was way too pretentious for me. I gave up on it. this book is kind of dark but so well written and interesting. I'm hoping for a happy ending. First fantasy book I've read. But loved the story & loved the ending. At twenty-five, Kathleen has already outlived her Kathleen has been plagued by pain all her life. Shooting, stabbing pains in her feet when she stands and walks, and persistent pain in her mouth so bad that it can incapacitate her. She's seen doctors and mental health professionals, been run through a barrage of tests, and even been committed but no one has ever been able to find the cause or a solution. Strangely, the only alleviation Kathleen has ever had from the pain has come from sea water. Denne var eg skeptisk til i starten og det tok ein stund før eg blei vandt med både fortellerstil og plottet utgangspunktet, men når eg først kom inn i boka blei eg veldig reven med. Eg syntes boka tok seg betydelig opp i det fortellerstemmen bytta frå Kathleen til Harry. Først då blei eg hekta. Fortellerstemmen veksler forresten mellom 3 karakterer gjennom heile boka, noko som i mi mening, heva kvaliteten veldig. Vi følger Kathleen, kjærasten hennar - Harriet, og faren - Robin. Alle er aktive i Denne var eg skeptisk til i starten og det tok ein stund før eg blei vandt med både fortellerstil og plottet utgangspunktet, men når eg først kom inn i boka blei eg veldig reven med. Eg syntes boka tok seg betydelig opp i det fortellerstemmen bytta frå Kathleen til Harry. Først då blei eg hekta. Fortellerstemmen veksler forresten mellom 3 karakterer gjennom heile boka, noko som i mi mening, heva kvaliteten veldig. Vi følger Kathleen, kjærasten hennar - Harriet, og faren - Robin. Alle er aktive innen musikkformen opera. Kathleen er hovedpersonen her og det er hennar situasjon boka handler om - ho har arva moras "forbannelse". Ein forbanning som har gått i arv i mange mange år og som dei no forsøker å bryte. Mtp bokas tittel regner eg ikkje med å "spoile" for mykje når eg seier at denne forbannelsen har noko med havfruer å gjere. I bought this book while on vacation in the Outer Banks of North Carolina in a little bookshop my friend and I pedaled to on rented bikes. When I saw the title and the cover I knew it was the perfect book to read on a beach vacation. Fast forward more than a month and a half and I've finally read it. This story is a twist on Hans Christian Anderson's Little Mermaid tale. There's even a bonus short story at the end in which Anderson is a main character. I found the novel engaging-- especially beca I bought this book while on vacation in the Outer Banks of North Carolina in a little bookshop my friend and I pedaled to on rented bikes. When I saw the title and the cover I knew it was the perfect book to read on a beach vacation. Fast forward more than a month and a half and I've finally read it. This story is a twist on Hans Christian Anderson's Little Mermaid tale. There's even a bonus short story at the end in which Anderson is a main character. I found the novel engaging-- especially because it had a lot of opera information and references I found entertaining-- and paced well. First off, I 'started' this book a week ago on a lunch break at work, read six pages and then closed the book and put it away. Just in the first few pages I knew this was going to be a non-stop read and I refused to open it again until I could sit and read it all the way through... which I did... in about half a day. Amazing story! Now, generally I do not like to quote lines from novels I read in my reviews, not sure why, I just don't. This story had so many quote worthy phrases t Completely Awed. Now, generally I do not like to quote lines from novels I read in my reviews, not sure why, I just don't. This story had so many quote worthy phrases through out but there was one early on in the book that just stuck with me, "Murin waited for the tide to find her in the shallow pool at the sea cave. She did not bind herself, as she might have done, or lull herself with drugs or weight her pockets with stones. She needed no artificial aides, for she was half-drowned in her own misery already." I have not heard much about this upcoming release, but when I read the synopsis I knew I wanted to give it a try. I was lucky enough to get an ARC to read and review. This starts off with a quote from The Little Mermaid which is one of my all time favorite Disney movies. After that, it take me some time to really get into this. I actually put this down for a few weeks before I decided to give it another try. However; once I did pick it back up, I really enjoyed it. I really enjoyed the writing st I have not heard much about this upcoming release, but when I read the synopsis I knew I wanted to give it a try. I was lucky enough to get an ARC to read and review. I really enjoyed the writing style and even though I am not giving this a 5 star rating, I am interested in checking out other work by Ann Claycomb from her style alone. Well, I'm a bit predisposed to loving it, but I think you will love it too. A fairy tale with lots of curves, immersed in surprising twists and a big splash. I really, really liked this book even though it is a bit more literary than I'm normally capable of reading. I learned a lot about opera and had to refresh myself with several classic texts in order to keep up with the goings-on. Specifically, it's good to know the original Hans Christian Anderson telling of the Little Mermaid. There are a lot of references to "The Scarlett Letter". Also, you may want to get a feel for "Tam Lin". Apparently, in opera, lead sopranos typically either go crazy, die, I really, really liked this book even though it is a bit more literary than I'm normally capable of reading. I learned a lot about opera and had to refresh myself with several classic texts in order to keep up with the goings-on. Specifically, it's good to know the original Hans Christian Anderson telling of the Little Mermaid. There are a lot of references to "The Scarlett Letter". Also, you may want to get a feel for "Tam Lin". It is no spoiler to suggest a reason for her condition - she has descended from the actual mermaid whose tale is told in The Little Mermaid. That is, she is a mermaid living cursed to walk on land. Luckily or not, she is very, very much loved by Harry (as in Harriet), who is determined to keep Kathleen from facing the same fate as her ancestors. And so, off they go on a thrilling adventure of discovery. I really, really loved the way that the relationship between Harry and Kathleen was handled - not all wine and roses. It was very, very realistic with selfish nips and pokes and insecurities and miscommunications. Still underneath it all is a beautiful foundation of unconditional love. I loved this book. It would have been perfect if it didn't seem to run a little long in the middle. Such a interesting retelling of The Little Mermaid. So many stories within the story this book has it all a beautiful retelling, opera, culture, travel, a love story, Lgbt. Dark and Lyrical. A must read if you love retellings. This is now one of my favourite fairy tale retellings. It is modern and romantic and fantastical and such a wonderful tribute to the original telling of The Little Mermaid. I can not tell you how wonderful I thought it was! Oh, and it's also one of the most gorgeous F/F stories I have read. The story follows Kat This is now one of my favourite fairy tale retellings. It is modern and romantic and fantastical and such a wonderful tribute to the original telling of The Little Mermaid. I can not tell you how wonderful I thought it was! Oh, and it's also one of the most gorgeous F/F stories I have read. The story follows Kathleen who suffers some various unexplained symptoms including a stabbing pain in her feet, an obsession with the sea, and the sensation that her tongue is being cut out. She also has an astounding singing voice which has made her into an up and coming opera star. Sound familiar? Her girlfriend Harry (who is completely gorgeous btw), has constant concerns about Kathleen's unexplainable problems. In an attempt to uncover the cause of the symptoms, Harry helps Kathleen to track her family history and understand the curse of her mother, grandmother, and great-grandmother. The complex feel of this story and how it knits and intertwines itself with the original Hans Christian Andersen fairytale was truly magical. Rarely do I feel completely satisfied with a retelling but this was just so well done that I can not wait to reread it. I just cannot get over Claycomb's ability to instil the magic and fantasy from Hans Christian Andersen's original tale in her own modern storytelling. I don't think there are any spoilers in here but maybe the tone gives something away. I truly loved this book. I did not find it abelist in the least even as someone with both chronic pain and depression; I found it logical to use the pain as the connection to the magic because she isn't crazy or making it up. The characters are flawed and yet you love them. The stigma attached to mental health and chronic pain were both treated as they are in life. The author captured the music and opera as onl I don't think there are any spoilers in here but maybe the tone gives something away. The characters are flawed and yet you love them. The stigma attached to mental health and chronic pain were both treated as they are in life. The author captured the music and opera as only someone who truly feels it could. The description of the main aria made me misty eyed. I felt both the sea and the power of the magic. I will have to find some of the recordings she references, simply because I want to experience them now. My only regret is not to have the opera to hear. This book was exceptionally well done without the conventional or forced references. I never felt that the author was "showing off" or excessive in references to literature, music, opera, or pain. The settings, scenes, and connections were logical, natural, and understated. There weren't 5 pages on the description of the music room or the feel of a cloth. The plot moves along briskly but is not what I expected. I won't give away the ending but I will say I changed my predictions 3 or 4 times. I know it's still early in the year, so you might not think this has much weight, but this is definitely the best book I've read so far this year! I received an advance reading copy at the ALA Midwinter conference and had finished within the week. The book started out well and interesting. I loved Kathleen & Harrys relationship! Harry was such a caring, understanding, wonderful girlfriend and she's a true example of how you should help your partner. Their relationship and Harry's Chapters were probably my favourite part of this book. Speaking in which, I'm not a fan of the writing style. The book is POV and I can't stand the main characters chapters or her fathers. But as for the rest, this book had become a confusing snooze fest. There is a lot of stuff about the opera which is neat to tie to The Little Mermaid but the author doesn't bother to explain anything. It left me confused and that led me to being very disinterested in the story itself. I gave it a 1.5 instead of a 1 because I did like the idea of the book but it just completely went down hill. What a beautiful take on a classic tale.